My other back pose 🙂 Place was in Tanah Lot Bali Indonesia during sunset. This place is nice especially during sunset. This is my another back pose. Location was on Dreamland Beach Bali Indonesia. 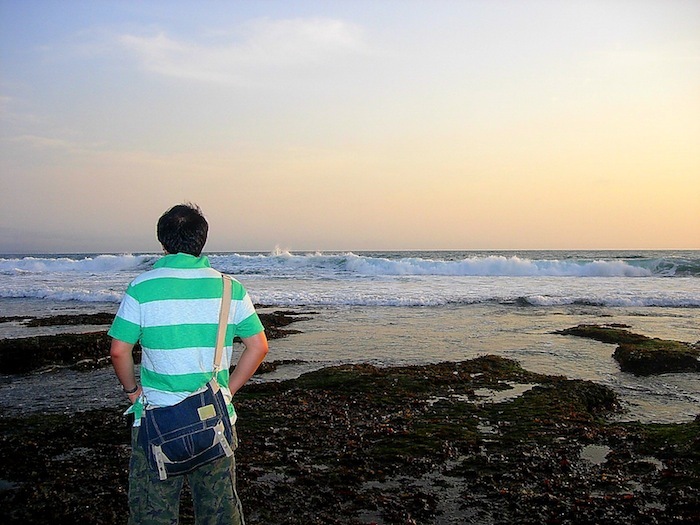 Dreamland Beach (now known as New Kuta Beach) is a beach located on the Bukit peninsula, on the island of Bali, Indonesia. 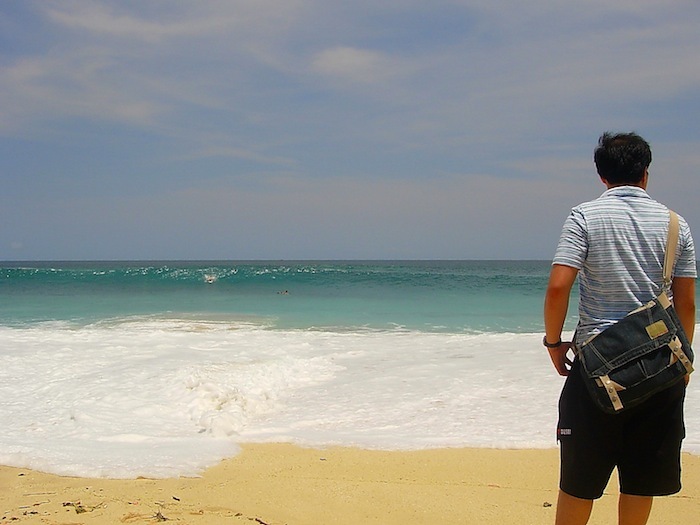 The beach provides basic accommodation and cafes for surfers and day-trippers. It is also renowned for its dangerous shorebreak. It is the site of the failed Pecatu Graha development, planned by Tommy Suharto, the youngest son of the former president Suharto. There are many poses we can do in front of camera. This time I choose back pose. The advantage of this pose is to hide my six pack tummy :-). Also, I can use this picture as desktop background wallpaper. 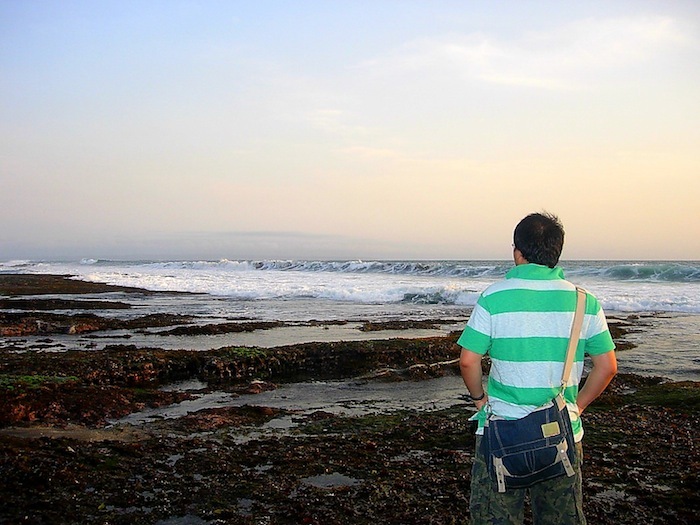 Location was on Tanah Lot Bali Indonesia. Tanah Lot is a rock formation off the Indonesian island of Bali. 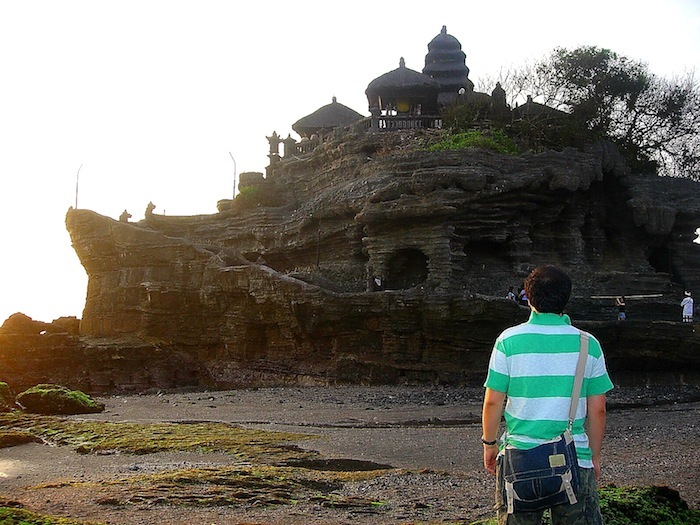 It is home of Tanah Lot temple. 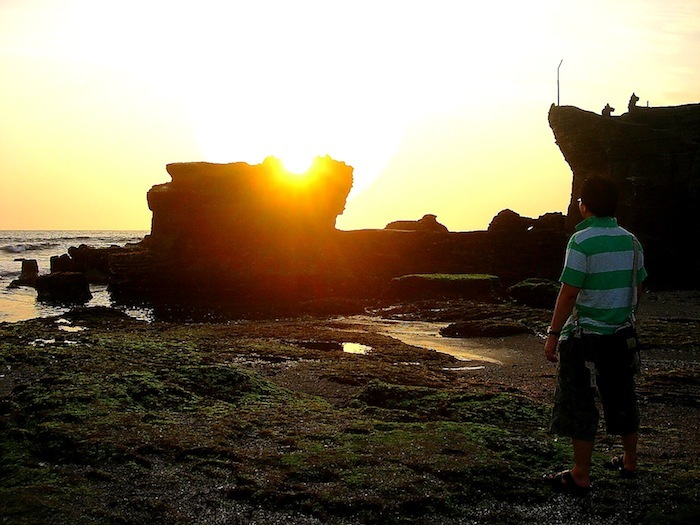 Tanah Lot is a popular tourist and cultural icon for photography and general exoticism in Bali especially during sunset. This is a panorama picture of Batur Mountain and Batur Lake. I combined two pictures become one. Mount Batur (Gunung Batur) is an active volcano located at the center of two concentric calderas north west of Mount Agung, Bali, Indonesia. 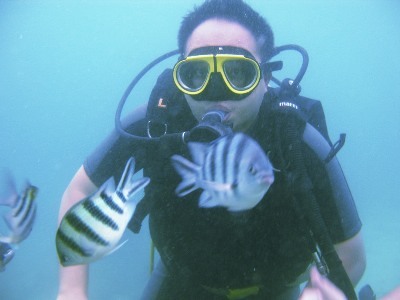 Lake Batur (Danau Batur) is the largest crater lake on the island of Bali and is a good source of fish. I took the picture from Kintamani Highground which is around 2 hours driving from Kuta Bali. 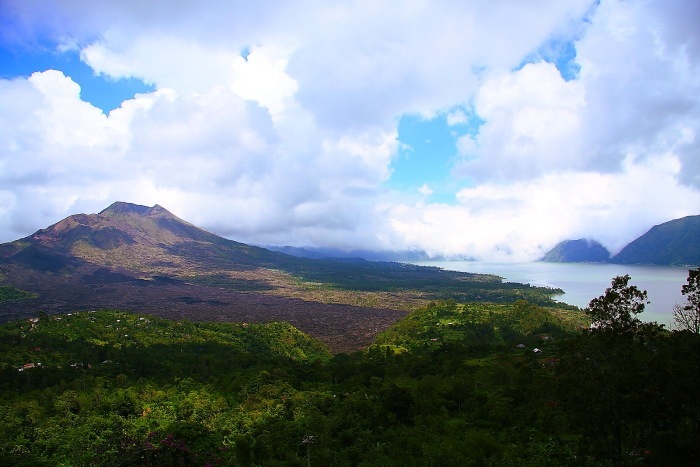 Batur Lake is the widest lake in Bali Island which is located next to Batur Mountain. Batur Lake is the old crater of Mount Batur. This picture I took from Kintamani Bali. 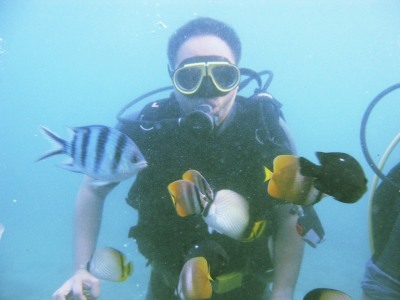 The trip is around 2 hour from Kuta Bali. 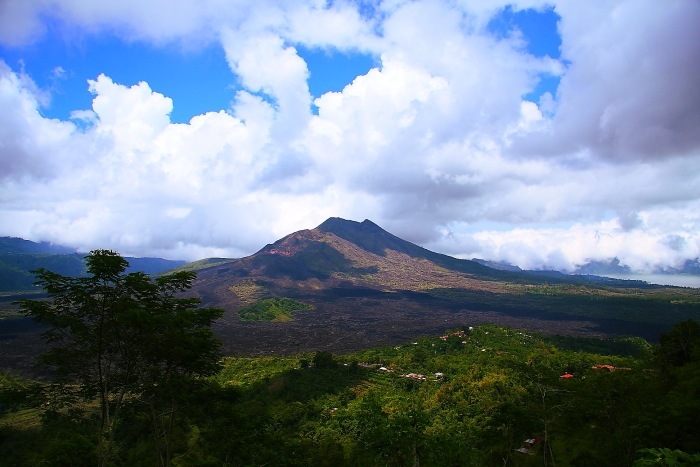 Kintamani is the high land in Bali Island which famous with the beautiful panorama. At Bali, I went to Kintamani to see Batur Mountain from a far. This mountain is an active volcano mountain in Bali Island. From this view actually I can see Batur Mountain and its beautiful Batur Lake. Trunyan village is located next to Batur Lake. Trunyan people did not buried dead people. They just put bodies next to Trunyan big tree. Unfortunately, the bodies did not smelly.